Physical Description:  p., col. ill. , 16 cm. Pictures and rhyming text celebrate a family's day spent going to the beach, shopping at the market, eating at a restaurant and spending the evening with the rest of the extended family. Board book edition. 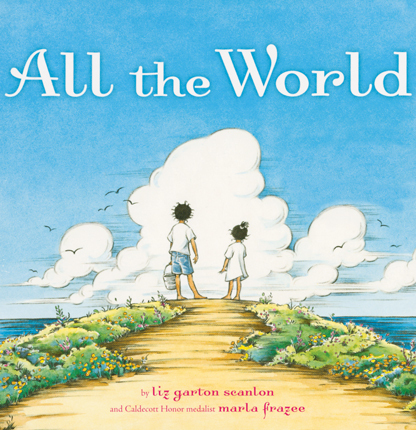 School Library Journal - 07/01/2015 Baby/Toddler—Scanlon's beautiful, award-winning ode to a child's universe is a picture book classic in the making. 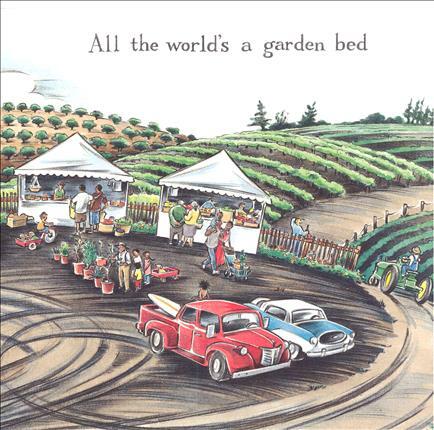 This shrunken-down board book includes the poetic text in its entirety and Frazee's appealing spot art and stunning spreads. The simple joys and wonder of childhood are tenderly captured as well as the inevitable challenges. "Slip, trip, stumble, fall/Tip the bucket, spill it all/Better luck another day/All the world/goes round this way." A perfect, portable bit of family life to take along on any journey, easily tucked into a backpack or diaper bag. - Copyright 2015 Publishers Weekly, Library Journal and/or School Library Journal used with permission.